Whether you’re into science and technology, or just looking for something to do to pass time, we can all admit that if we’ve been to a science centre at one point or another, it’s been a great experience. As a focal point of local, national and developing technology, science centres have spurred interest in all of us, and have done different things for each person who walks through their doors. These centres are instrumental in triggering the interest of future generations working in STEAM (Science Technology Engineering Arts and Mathematics). A student of any age may have that moment in a science centre that makes them realize it’s something they want to pursue as a career – and these are fields that are booming across Canada – whether it’s IT, robotics, research and more. We’ve also seen the impact these centres have on our community. 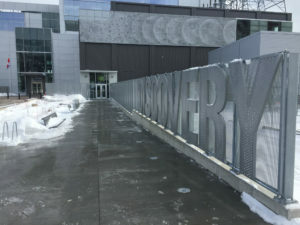 Here in Halifax, there have been a number of organizations, universities and researchers that have come together in the re-launch of the new Discovery Centre in the province’s capital. Now, after nearly 15 years of work by a number of volunteers, community members and partners, the Discovery Centre has opened to the public this week (February 12). These are just a sampling of what our country can offer. Check out the Canadian Science Centre website for more information. Here at Nova Communications, we are proud to be a part of the technology industry that makes up the fabric of Canada and its continued success. This year, keep an eye on our blog as we do various things to celebrate Canada’s 150th anniversary in 2017. Whether you’re in the science and technology industry or elsewhere, we have worked with sectors throughout Canada to help solve communications needs. With more than 30 years in business, we can answer any and all of your questions. Contact us today for more information.